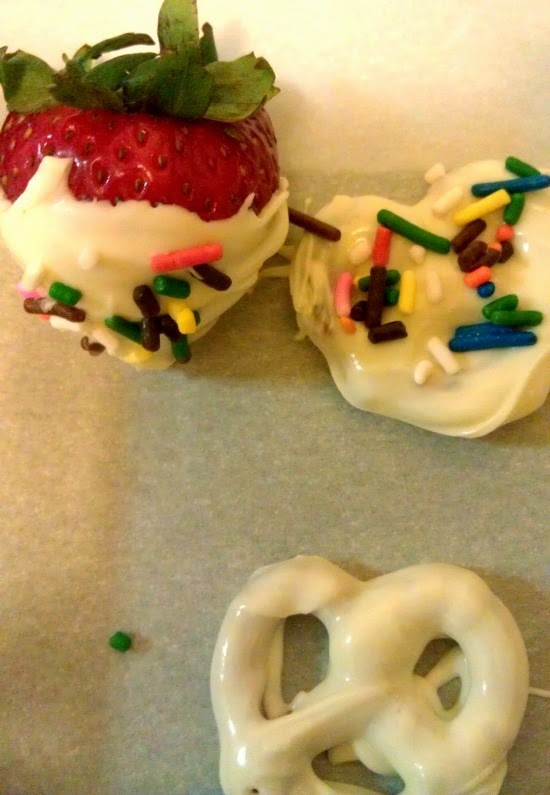 I always see pretzels covered in yogurt in the grocery store. 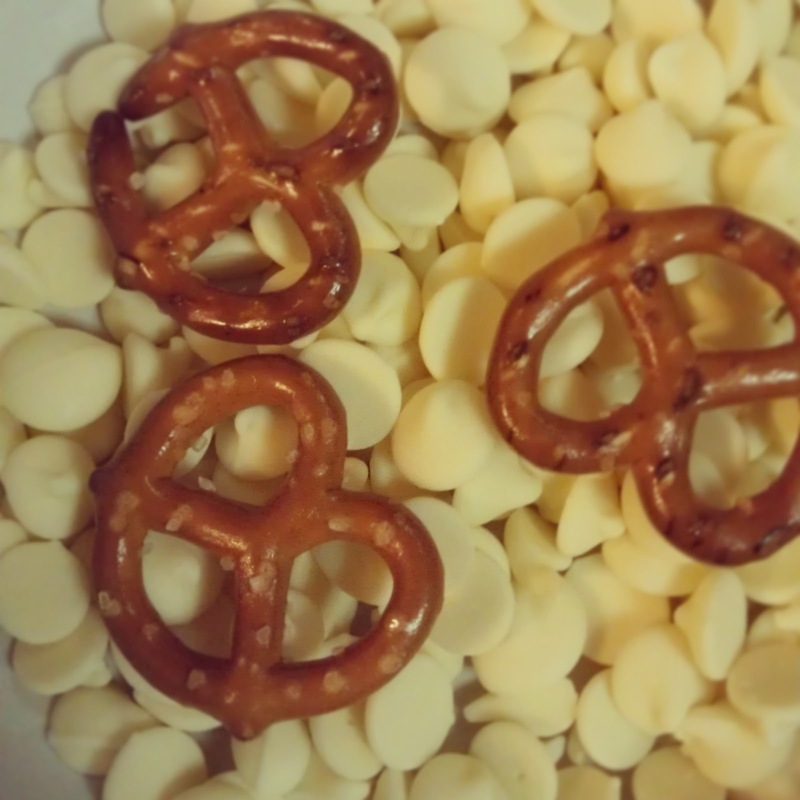 I opted for some white chocolate chips & small pretzels instead. This was my first time actually covering a food item in chocolate. Geez, what is wrong with me? Why did I wait so long? 1. Throw some chocolate chips or shavings in a bowl. 2. Microwave in 20-30 second intervals. You don't want to over cook it. 3. 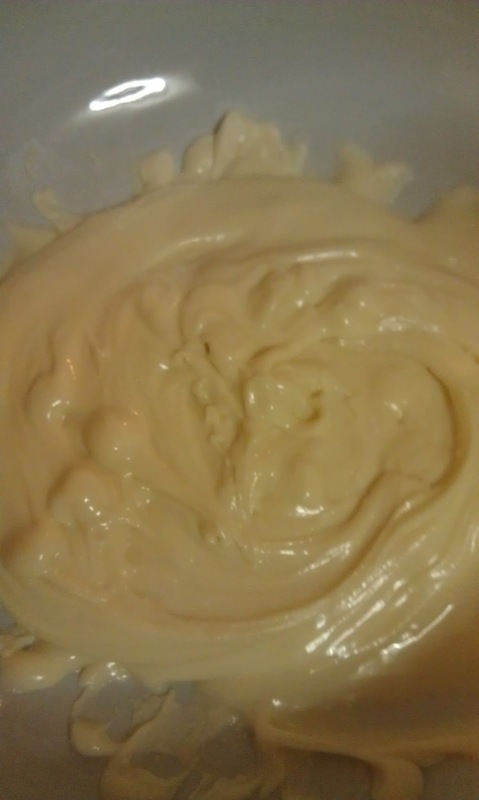 Once you get the consistency you are happy with dip your pretzels in. 4. Put them on a tray covered with parchment paper. 5. Put the tray in the refrigerator for an hour or until chocolate has hardened. I threw a strawberry in for the fun of it. My first few pretzels didn't come out so neat, but I soon got the hang of it. When I finally had my first pretzel, oh my, was I a happy girl. Now I want to cover everything in white chocolate. This was such a simple treat to make. What else can I cover in chocolate? Are you a chocolate lover?